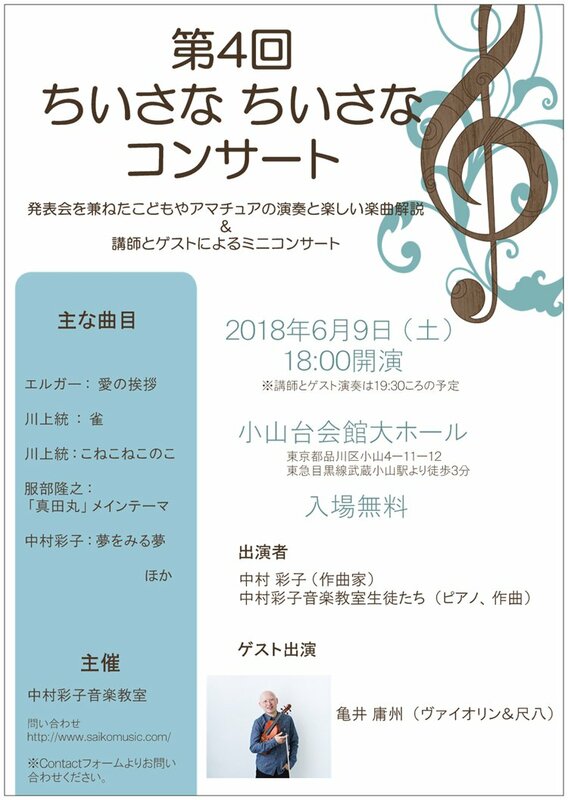 Saikomusic School in Shinagawa, Tokyo has concert. The school invites Yoshu Kamei (violinist) as a guest for the concert. Beginning half is students’ perfoemances and last half is little concert by a guest and teachers. We will welcome whoever to join the concert.